Veteran broadcast journalist Kadaria Ahmed has referred to Governor Abdulaziz Yari of Zamfara state as Nigeria’s most useless governor in history. The angry Kadaria made this known on Saturday in Abuja in response to the killing of at least 50 people in the northwest state. She spoke during a protest against the perceived ineffectiveness of both the Zamfara government and the President Muhamamdu Buhari-led Federal Government on the incessant killings in the state. 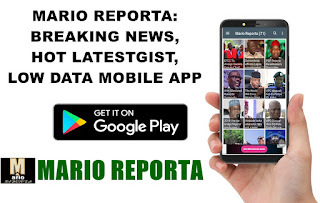 Speaker of the Zamfara State House Assembly, Sanusi Rikiji, had on Friday, April 5, revealed that no fewer than 50 persons, including members of the Civilian Joint Task Force, were killed in Zamfara last Tuesday. “As far as I am concerned, that Governor is the most useless governor in the history of Nigeria,” Kadaria bluntly told journalists in Nigeria’s capital. Kadaria, who said she grew up in Zamfara, called on Buhari to declare a state of emergency in the state. President Buhari Saturday his sadness over the killings in Zamfara.